The online horoscope is the mirror of all major and minor important events in the life of a person. Popularity of a person means his being well known for his special qualities and achievements among the people of his city, state or country, and even beyond the frontiers of his country. 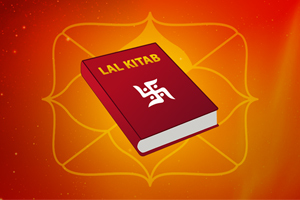 According to Vedic astrology, if a person becomes popular chances are that the Lagna and Lagna lord are very strong and there are other supportive powerful yogas in his horoscope. The dasa-bhukti of strong Lagna lord and yoga forming planets should run during his youth and middle age, when the native can put in maximum effort and work hard to reap the reward. Success and popularity and sudden gain wealth astrology is the result of strong destiny and sincere and dedicated efforts to unfold it. 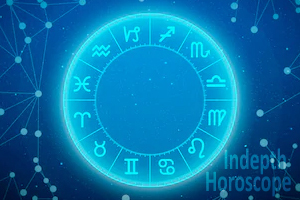 As per the Indian Vedic astrology, the general public is indicated by the 4th house of the horoscope and 10th house refers to one’s profession. If these are strong and their lords are also strong along with strong Lagna and its lord, the person becomes popular and gets recognition for his work. In addition, when the 5th house (Poorvapunya), the 9 house (God’s Grace) and their lords are also strong and well placed, the person is destined for getting recognition and fame. 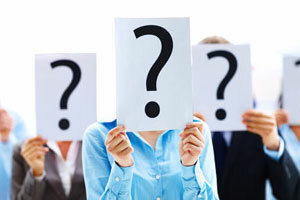 To get full details about your life, you can get your online horoscope here. Saturn is the significator of masses. When it is strong and favorably placed, the person achieves mass following. Rahu when placed in 10th house of a horoscope also helps in native’s rise in politics and also can play an important role in the career problems astrology. Venus in Sagittarius is reputed to give much name and fame. Mercury in 8th house makes an individual capable, rich and famous. Similarly, malefics placed in evil (6, 8, 12) house destroy the negative effect of those house and confer recognition and success on the native. In Vedic astrology, the Moon stands for personality of a person and Jupiter indicates expansion. Their harmonious location in birth chart makes the native successful and popular. The Kendra location of Moon and Jupiter is known as Gajakesari Yoga, which is reputed for conferring name, fame, wealth and reputation on the individual. The presence of Pancha Mahapurusha Yoga and Karak Yoga makes a person famous and popular in life. Another yoga which helps a person born in ordinary circumstances to rise in life due to destiny and hard work is Neecha Bhanga Raja Yoga. In addition, Vipreet Raja Yoga gives a person sudden rise in life, but if there is no supportive Raja Yoga, the down-fall follows. Conversely, downfall takes place during the dasa-bhukti of planets forming Arishta (Inauspicious) Yogas. The dasa-bhukti of functional malefics (Lords of 6, 8, 12 house) and badhaka (obstructive) planets also cause downfall of the native. 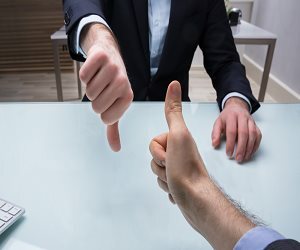 It is also observed that some persons rise to a very high position, but also suffer sudden downfall and their reputation and public image gets smeared. This occurs due to operation of good youga forming planet’s dasa followed by that of bad yogas present in the horoscope. The strength of Tagore’s horoscope is the Parivartana Yoga (interchange of singns) between Lagna and 10th lord Jupiter and the 5th lord Moon. The Karka of mind Moon is also 5th lord and highly fortified by the aspect of exalted Jupiter, which conferred intuitive and receptive mind with versatile imagination. There is strong Budha-Aditya Yoga formed by Mercury and exalted Sun in 2nd house. The conjunction of Mercury with poetic Venus in 2nd house made him a successful poet, painter and philosopher. Tagore was conferred Nobel Prize for literature in 1913 during Moon dasa-Mercury bhukti. He founded Vishwa Bharati University at Shantiniketan in 1921 (Mars-Venus). He got such big fame and popularity all because of his planetary combinations and conjunctions placed in his online horoscope. 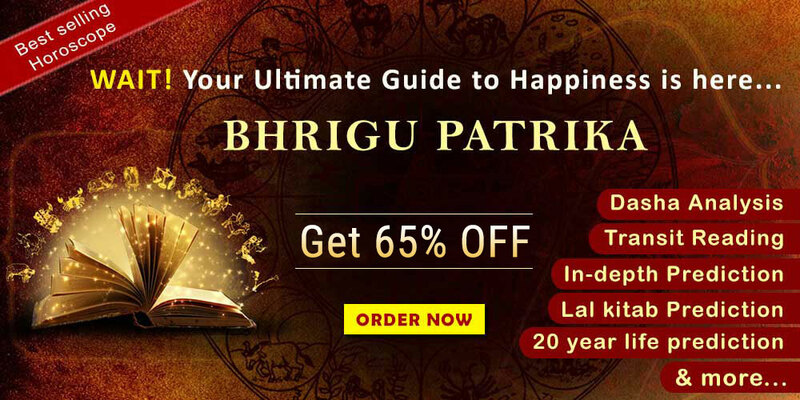 As per Vedic Astrology, if the planet Rahu is posited in 10th house in Jupiter’s sign it can give the excellent result of exalted Lagna and 10th lord Jupiter posited in 5th house. During Rahu dasa he toured Europe, America and Japan and met local authors, thinkers and statesmen. Mahahtma Gandhi was born in Libra Lagna with its lord there forms ‘Malavya’ Pancha Mahapurusha Yoga. Jupiter in Kendra to Moon forms Gajakesari Yoga. The aspect of Jupiter on Lagna and presence of Mercury in Lagna is capable of giving a person keenness of mind and a humanitarian approach. The Lagna in Papkartari Yoga gave him frail body, but presence of Mars in Lagna made him energetic and active. Swakshetre Moon is with Rahu due to which his mind was never at rest for one reason or the other. However, Libra Lagna gave him calm and balanced approach in the face of greatest provocation. Jupiter is in 10th from Moon and aspected by Lagna Lord Venus and 9th lord Mercury, which gave him mass following for a noble cause. The presence of Rahu in 10th from Lagna is always indicative of some notable work by the native. The commencement of Rahu dasa in 1921 brought Gandhiji into active independence struggle and he made a call for Swarajya (self-rule). In Rahu dasa-Rahu bhukti Gandhiji was arrested for civil disobedience campaign. He was released in Jupiter Bhukti. He started mass civil disobedience and was again arrested in 1942. His non-violent struggle made him world famous. In the online horoscope of Amitabh Bachchan, Lagna lord Saturn is in Kendra in friendly sign owned by Yogakarka Venus. Lagna lord Saturn aspecting Lagna and 10th house gave him success through hard work, name, fame and wealth. Yogakarka Venus in 8th gets Neecha Bhanga in the company of exalted Mercury. Airy sign in Lagna and Moon in 9th has given him excellent thinking mind. The aspect of the Sun, Mercury, Venus, Mars and Jupiter on the 2nd house gave him an impressive voice, expressive face and expertise for portrayal of different roles and excellent success in film line. Jupiter in 10th from Moon forms Gajakesari Yoga. He tasted success in films with the start of Lagna lord Saturn dasa (1971-90) which is located in 4th house (public) and aspects 10th house (profession) and is also indicative of sudden gain wealth astrology. He made his mark in ‘Anand’ which was released in 1972. In 1973 ‘Zanzeer’ became hit and gave him recognition as ‘Angry Young Man of Indian Cinema’. His excellent voice and dialogue delivery scored over contemporary heroes and he continued to give hit films during Mercury dasa (5th lord exalted in 8th) as well. Thus he ruled Bollywood for more than three decades and became common man’s hero. However, as Uranus is with Saturn, and aspects a bunch of planets in 8th house and also 12th house, Amitabh also faced sudden and serious health and financial set-backs during adverse bhuktis and transit. Because of his popularity countrywide prayers were offered by his fans for early recovery from serious health problems. With the beginning of Ketu dasa from January, 2007, which is posited in Lagna in Rahu Nakshatra and unfavourable transit, he got in the midst of controversies. In the online horoscope of Md. Azharuddin, the Lagna and Larna lord Mercury are vargottam. Mercury is in 5th and when mercury according to Vedic Astrology is placed with 5th lord Saturn in Shubha kartari Yoga formed by Venus and Jupiter. The debilitation of Mars in 11th house gets cancelled because of its being with sign lord Moon. Presence of Venus, Mercury and Jupiter in 6th, 7th and 8th house respectively form Moon forms prosperous Chandradhi Yoga. The 2nd and 9th lord Venus is in Sagittarius in 4th house ensuring all comforts of life, name and fame and may account for sudden gain wealth astrology. He was a popular cricketer and successful Captain of Indian Cricket Team. As 5th lord Saturn is in own sign in 5th house, he got immense popularity and recognition during the dasa of favorable planet for his Lagna. Venus, 2nd and 9th lord, is the most benefic planet for Virgo Lagna and Mercury is Lagna Lord. He made his debut in Test Cricket in 1984-85 during Venus-Saturn-Mercury with a century against England. In 1987 (Venus-Saturn) he received Padma Shree and Arjuna Award. In 1990 with the planet combinations such as (Venus-Mercury) he was made Captain of the Indian team. This is another example of spectacular rise in life and ignominious end because of planetary positions, combinations and conjunctions in the online horoscope. The 5th lord Sun is exalted in Lagna with Uranus and shows a revolutionary personality with desire to rule. Venus lord of 2nd and 7th, is exalted in 12th with 10th and 11th lord Saturn. Venus is also Navamasa Lagna lord and exalted. It is also vargottam and assures best result during its dasa. Lagna lord Mars is in own sign in 8th house but afflicted by Rahu. 4th lord Moon and 9th lord Jupiter are debilitated. Jupiter is aspected by Pluto and Ketu. Moon is afflicted by Rahu and Mars in 8th house which indicates troubled mind and tendency of bold and rash actions. Mercury with Ketu in 2nd house made him a revolutionary speaker. After facing troubled life in childhood and youth during Mercury and ketu dasas, Saddam Hussain participated in a successful military coup in 1969 (Venus-Venus) and became Deputy to the new President. He slowly consolidated his position and became a 4-Star General. After forcing the then President to resign Saddam Hussain became President in 1979 (Venus-Jupiter), and ruled as socialist revolutionary with a firm hand, and modernized Iraq first with the help of Soviet Union and the of USA. His popularity with masses was a mixture of admiration and fear. Due to his attack on Kuwait, which is an ally of USA, in 1991 (Sun-Rahu, was located in Lagna and 8th house) his relations with USA deteriorated. During Moon dasa (in 8th) afflicted by Rahu and Mars, tension increased further, and after USA-led invasion of Iraq he was deposed on 9th April, 2003 (Moon-Ketu-Saturn) and went into hiding. In both the above examples, the natives were very popular, prosperous and basked in fame during favourable dasa and suffered downfall during unfavourable dasa, which proves the sublime truth of Astrology.